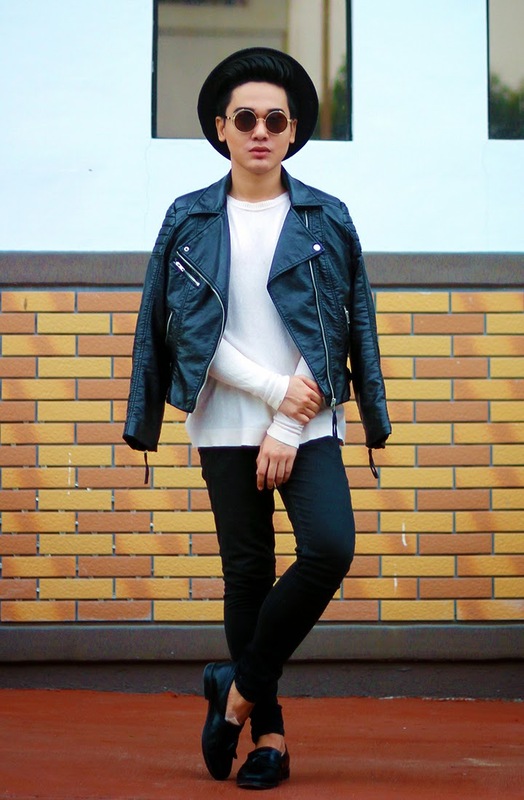 Sweater and leather for the cold weather! Winter swept December in some parts of the globe, but not here in the Philippines. But hey! We all here dreamed of snow in our streets and breezing cold winds. Maybe winter is not that colorful but I would really want to try building a snowman and throwing some snow balls too! 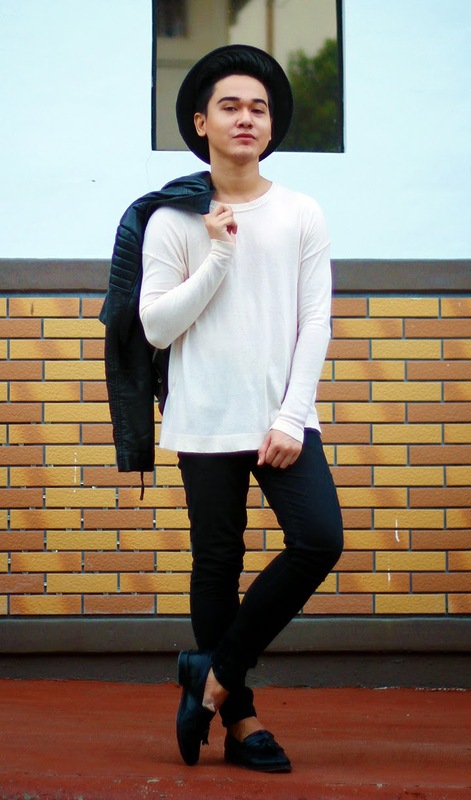 So here's my first outfit post in 2015. Well the weather is still bipolar here in PH, it gets hot and it gets cold, we get tanned and we get soaked. So why not wear something for both? 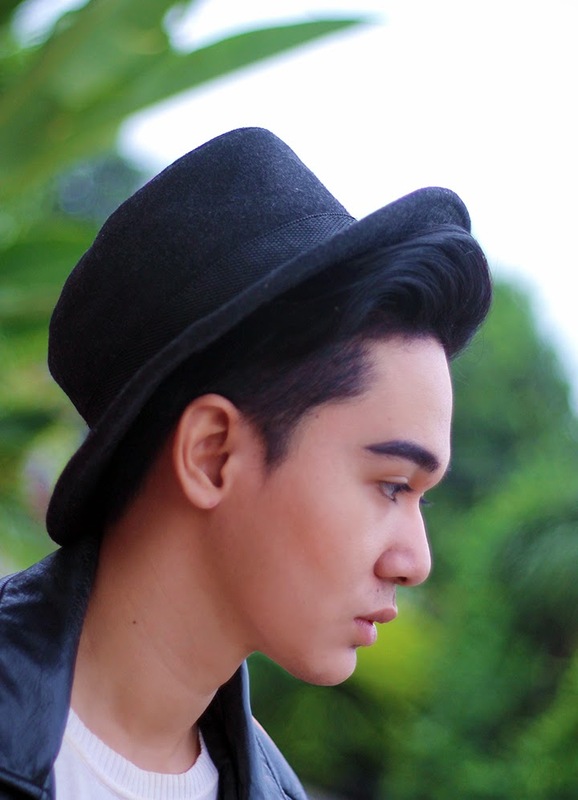 BRIM HAT. It's classy and trendy too! It's an accessory for all and can totally match any style. 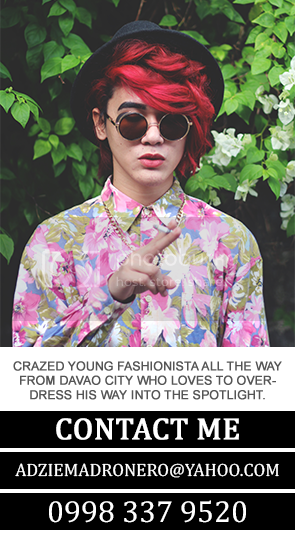 From classy polo's to plain tees and long sleeves. It totally gets your getup an edgy feel into it. LEATHER JACKET FROM H&M. Yey! I finally got my very own leather (biker) jacket thanks to my sister. Been craving to get one a year ago and now I'm finally wearing one! 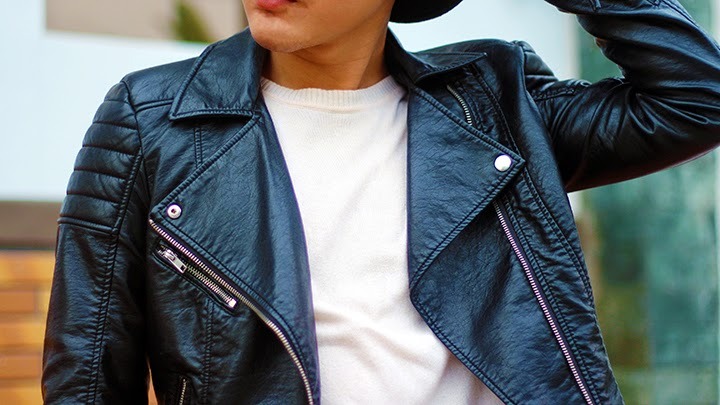 A stylish leather jacket to get cozy into when the cold breeze starts sweeping in and also a ramp worthy piece if you have plans for the night. SWEATER FROM MANGO. Spotted this really nice sweater in Mango last year and for a really cheap price too! Either pair it with shorts or just a pair of black jeans and you're good to go! 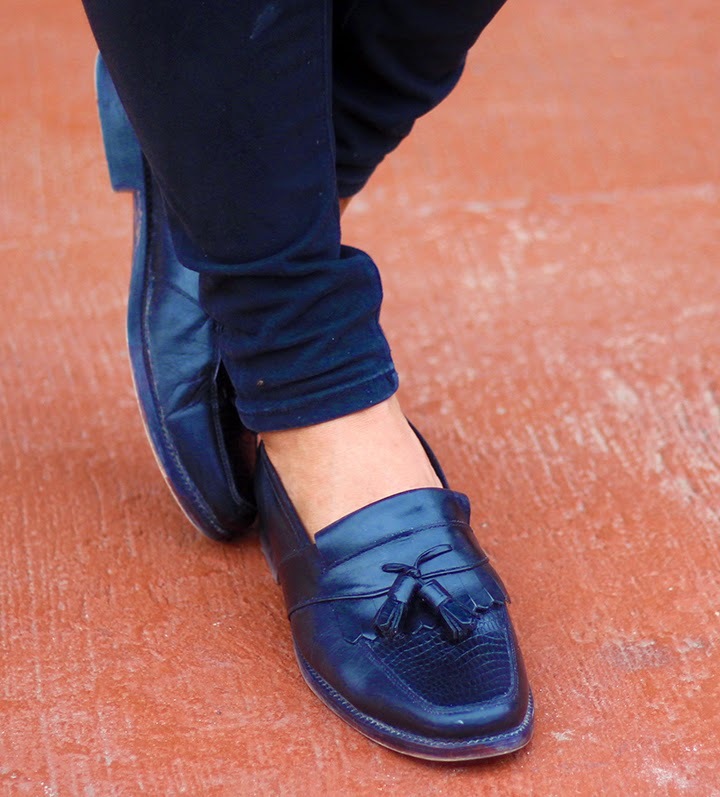 LEATHER TASSEL LOAFERS FROM CHANCELLOR. My father actually has one and been wearing it since 19-something. These classy loafers make the whole getup look sophisticated and tones down the "too cool for school" feels of the leather jacket into something classy.